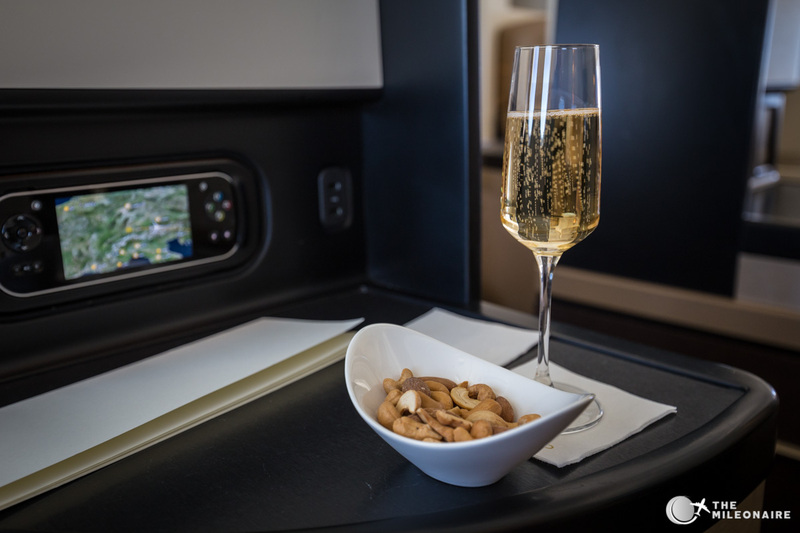 Having flown with Etihad’s A330 and B777 a couple of times before, the new Etihad Boeing 787 Business Class Studios were pretty high up on my to-do-list. 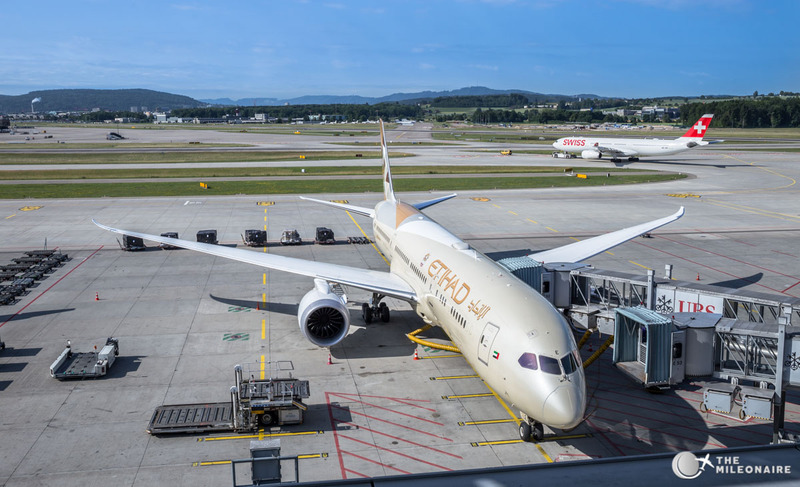 Etihad’s Dreamliner currently serves only Düsseldorf, Zürich and Athens in Europe, but there’s a lot more destinations once you reached Abu Dhabi. I’ve built my routing around that, so I could get two full segments with the 787: Berlin – Zürich – Abu Dhabi – Singapur. 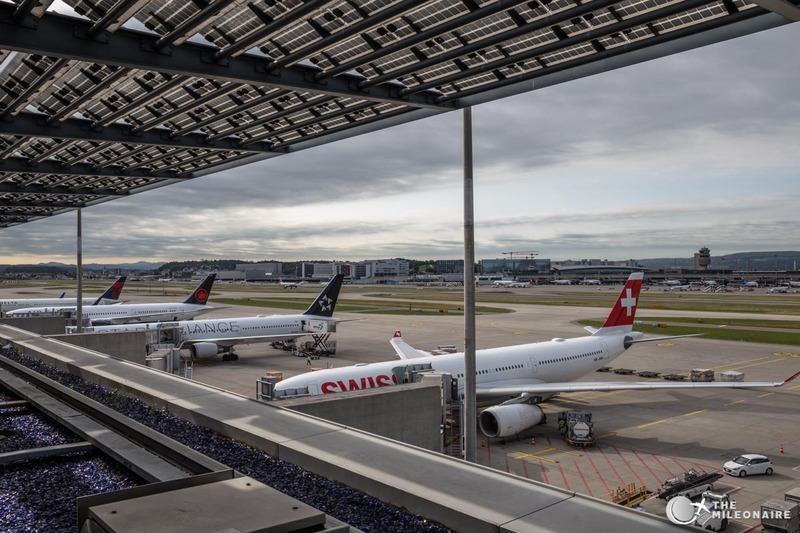 The contract lounge Etihad uses at Zürich airport offers some exceptional views of the airport. Especially during summer you can grab a coffee, work a bit on your laptop and enjoy the smell of fresh kerosine in the morning (which I like to be honest). 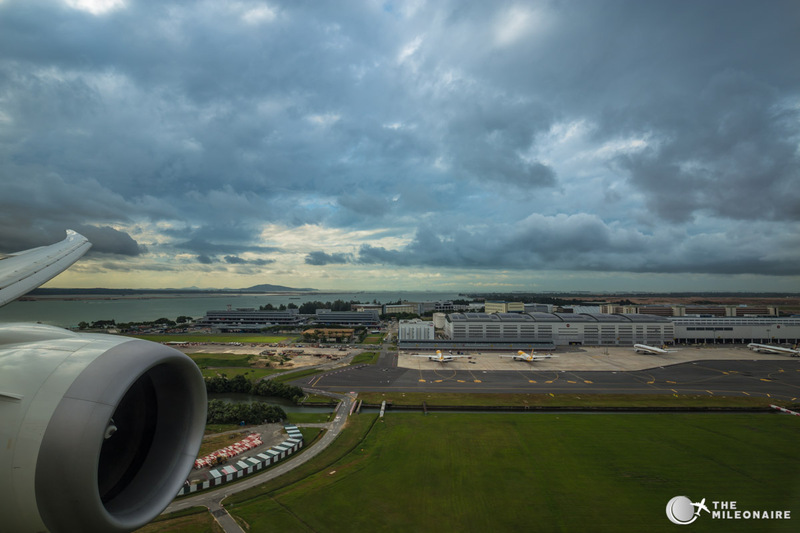 Even better: Etihad’s Dreamliner A6-BLE (delivery in June 2015) was already getting ready right below me. 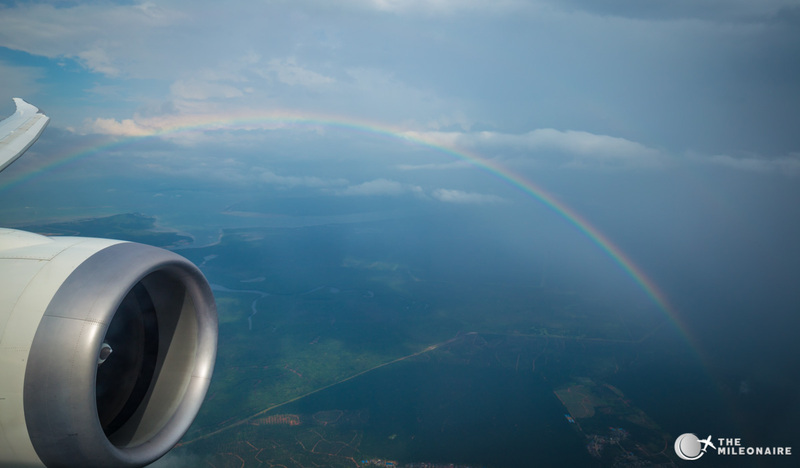 Straight up beautiful, isn’t it? 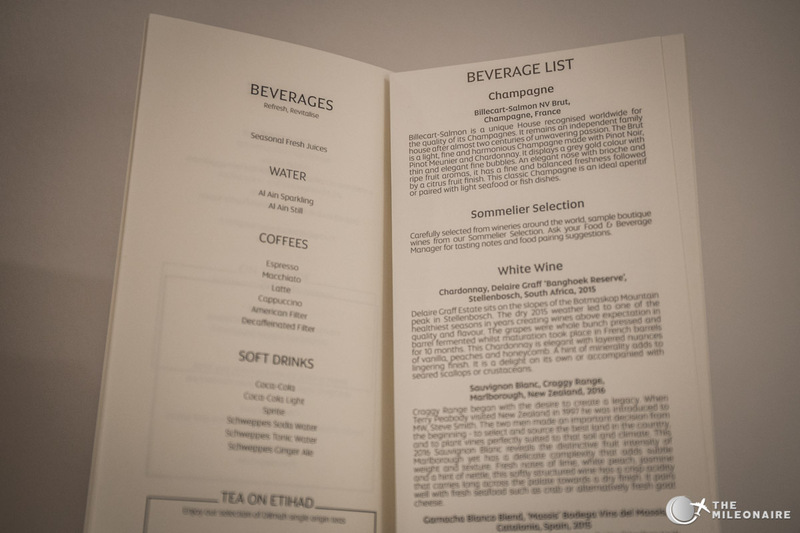 Naturally, the way from the lounge to the boarding gate was quite short (just downstairs) and I could board the new Etihad 787 Business Class as one of the last passengers. 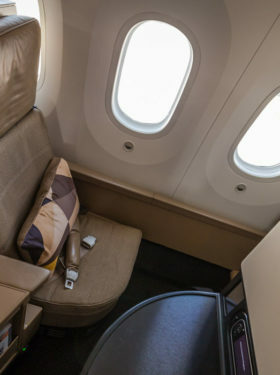 When boarding the plane you’ll immediately see the close resemblance to the “regular” Etihad Business Class: the Studios are built in a 1-2-1 configuration, where only half of the window seats are truly at the window (rows A and K) and the others (C and H) are backwards and rather at the aisle. My favorite seats are the “true” window seats as they offer the maximum privacy. 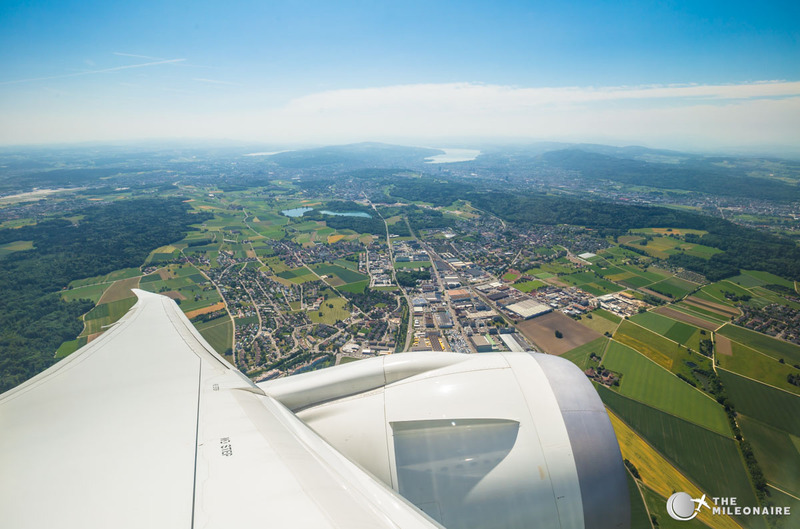 The “true” window seat 9A; you can spot the backwards seat 8C in the background. 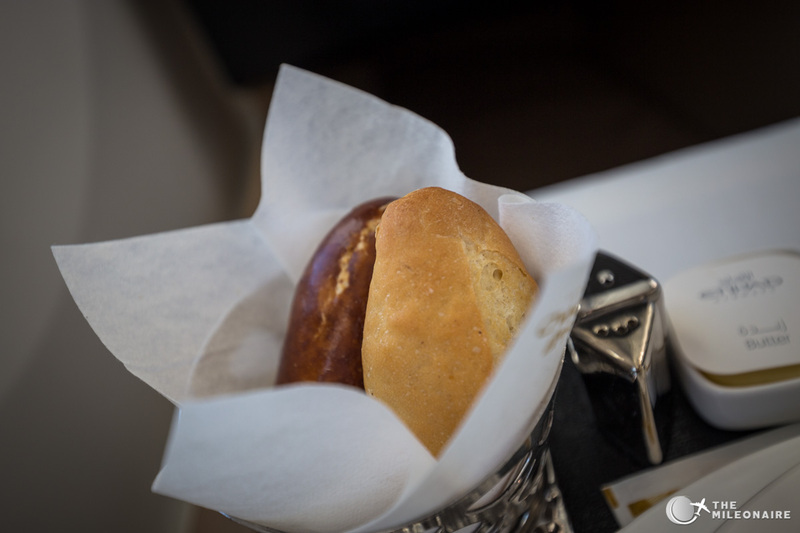 The middle rows (E and F) in Etihad’s 787 Business Class are perfect for couples though as they feel at least a bit like a private suite, even without being able to close a door. 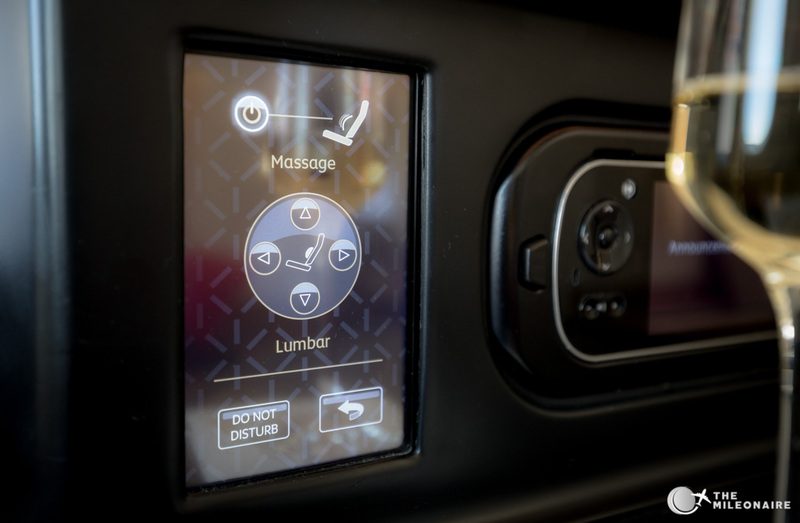 A view of the middle seats: the perfect choice for couples. 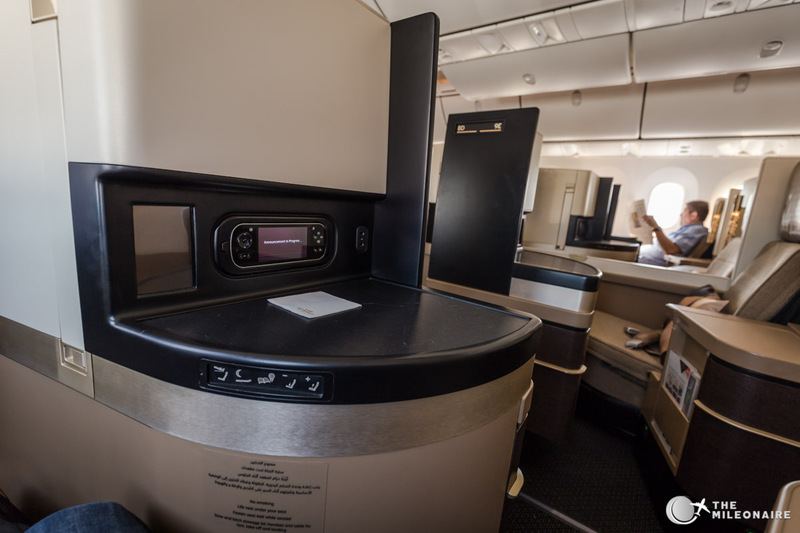 What I instantly liked in Etihad’s 787 Business Class was the overall design of the cabin: the different beige tones mixed with some gold and copper look really stylish, while not too “bling” like Emirates. 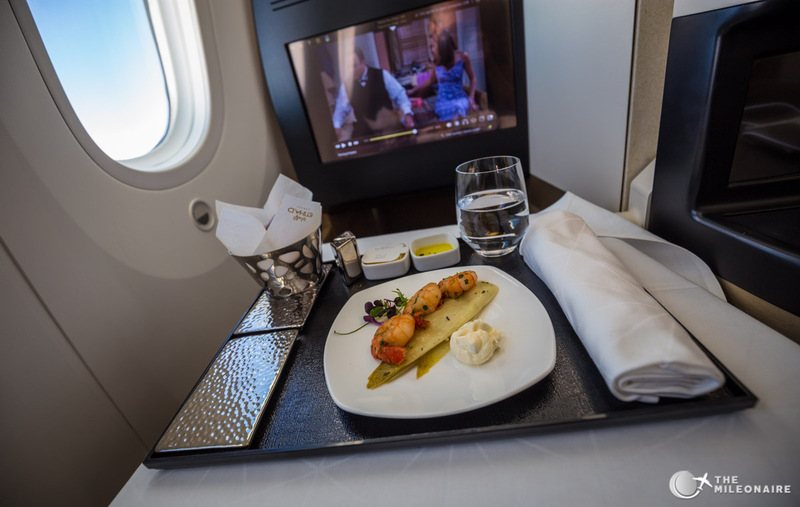 The Studios feel like a more modern and spacious cabin compared to the regular Etihad Business Class. 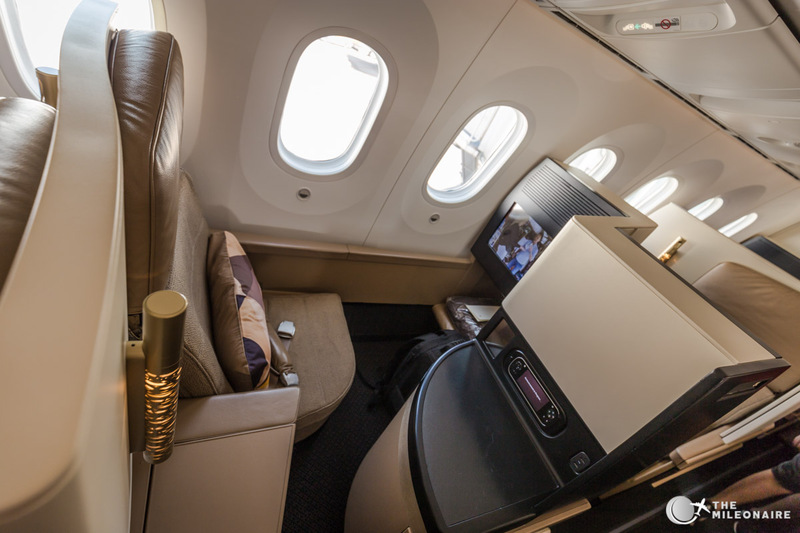 The two business cabins are quite small and intimate: there are 20 seats in the larger section, and only 8 in the smaller one at the front. 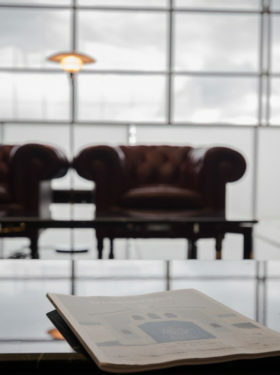 Even though the seat in the Business Studios looks similar to the ones in the A330 or B777 at first sight, there are plenty of small differences. 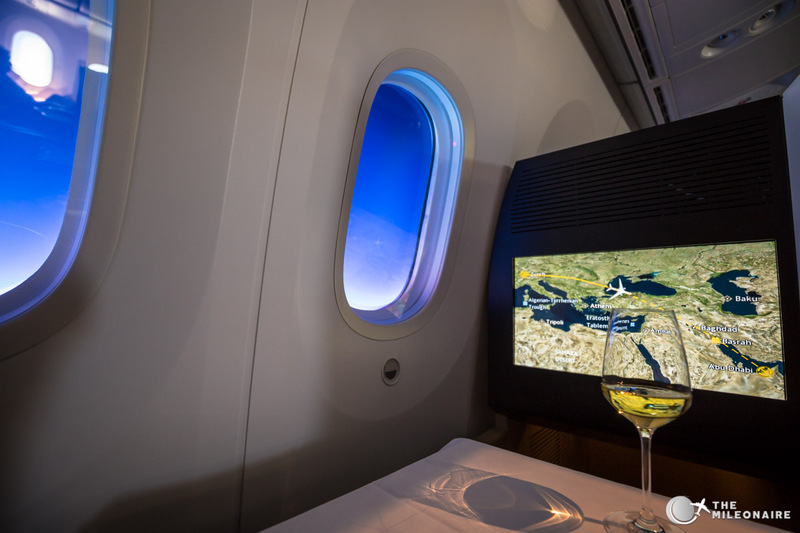 The Etihad 787 Business Studios feel more spacious and offer more privacy due to the side panels and how the 1-2-1 configuration is laid out. 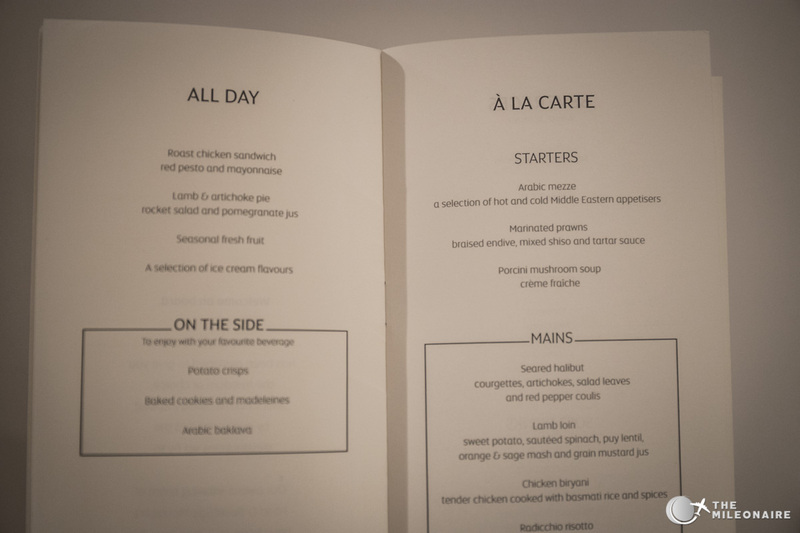 The big table on the side and the additional storage spaces below add more places to put your iPad, passport, champagne and so on. 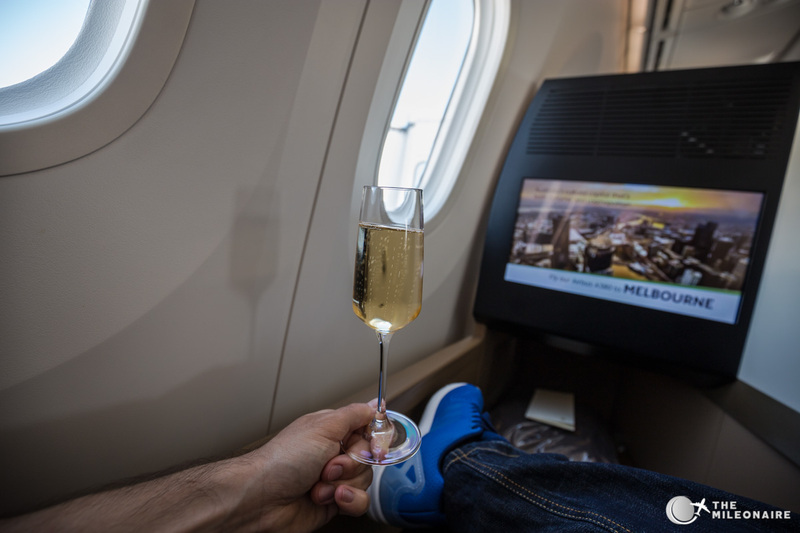 The leg area is more spacious as well compared to the regular Business Class, and the lie-flat seat feels a bit longer as well. 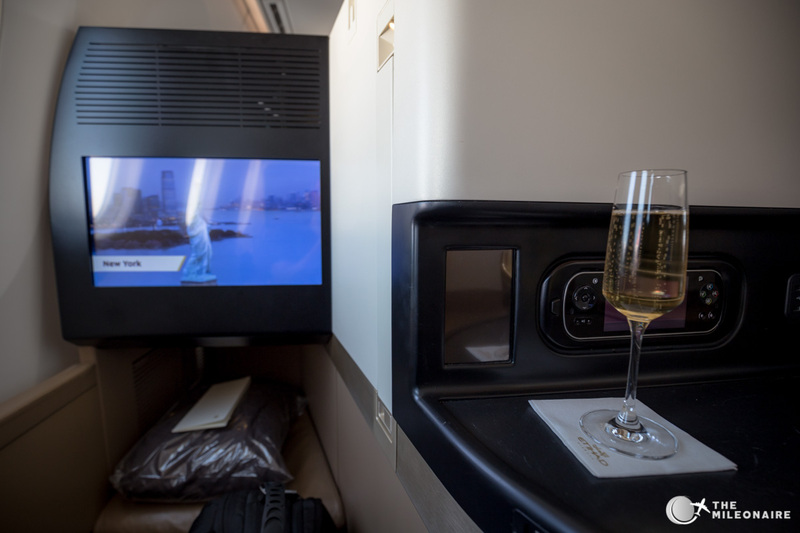 The regular Etihad Business Class in the Boeing 777 on the left, the new 787 Business Studios on the right. 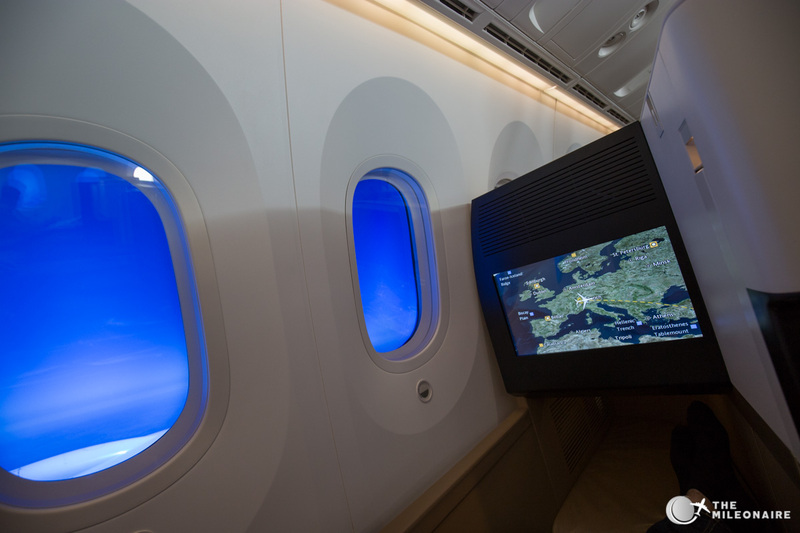 The new electronic window blinds in Boeing’s 787 Dreamliner. 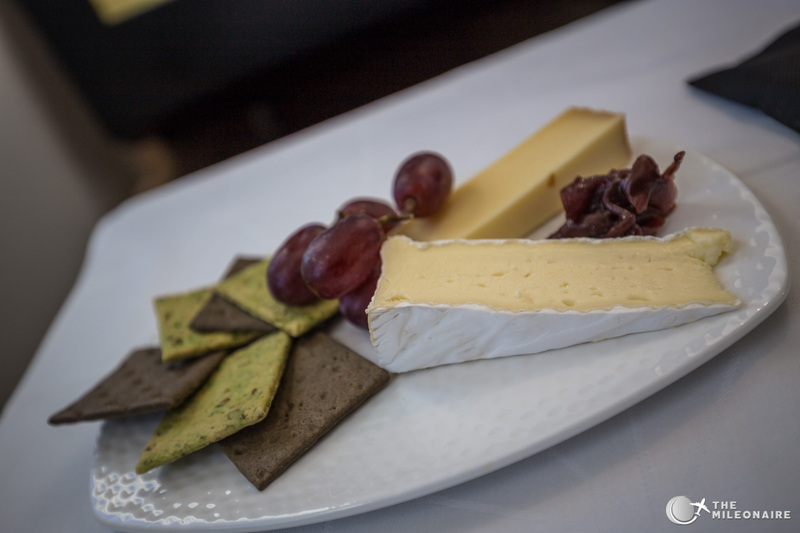 Etihad’s service for me is always a bit hit or miss: sometimes you have the best cabin crew in aviation history, and sometimes you have to ask three times to get your lunch. That was also the case with my segments here, but let’s start at the beginning. 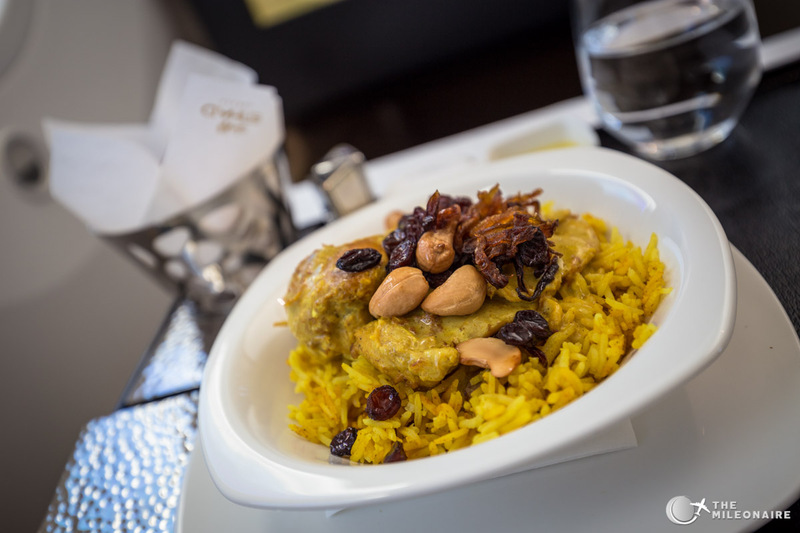 Simple, but tasty: Etihad’s Biryani dishes can be found on most Business Class flights. …and closed it all out with a perfect chocolate cake as my dessert. 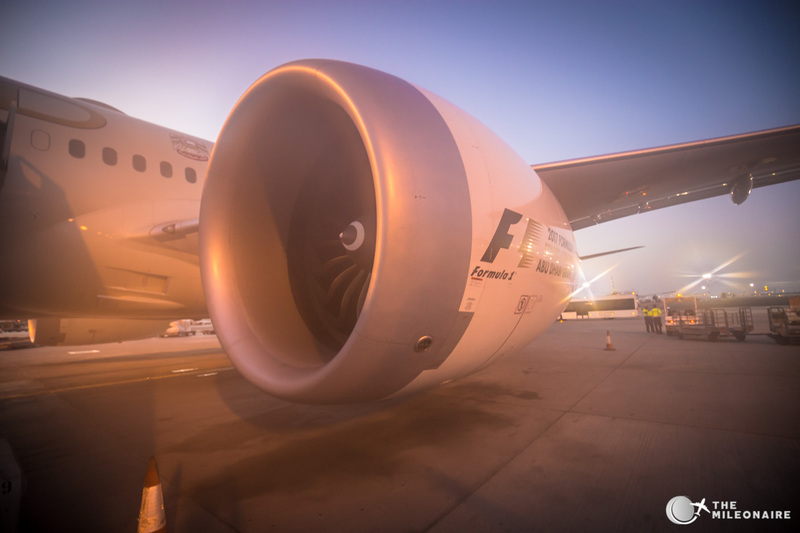 Take-off power set: General Electric’s GEnx engine on the Dreamliner. 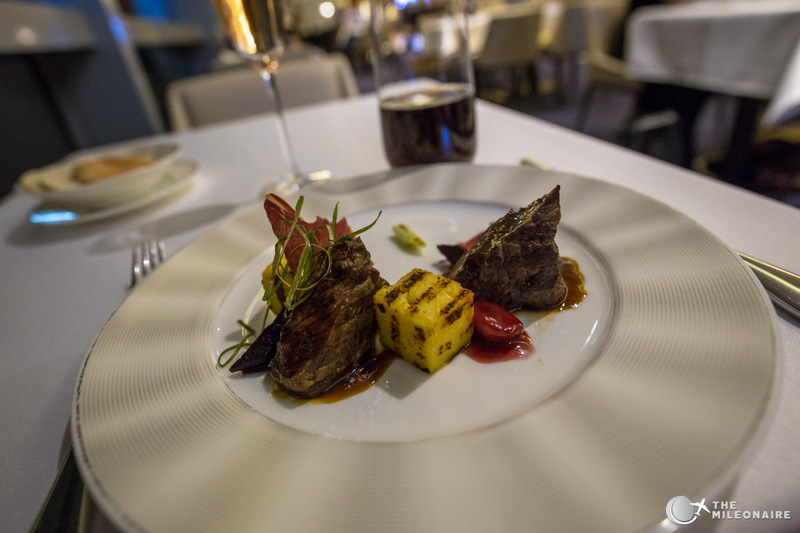 The food in Etihad’s First Class Lounge Abu Dhabi makes stopovers a good thing. 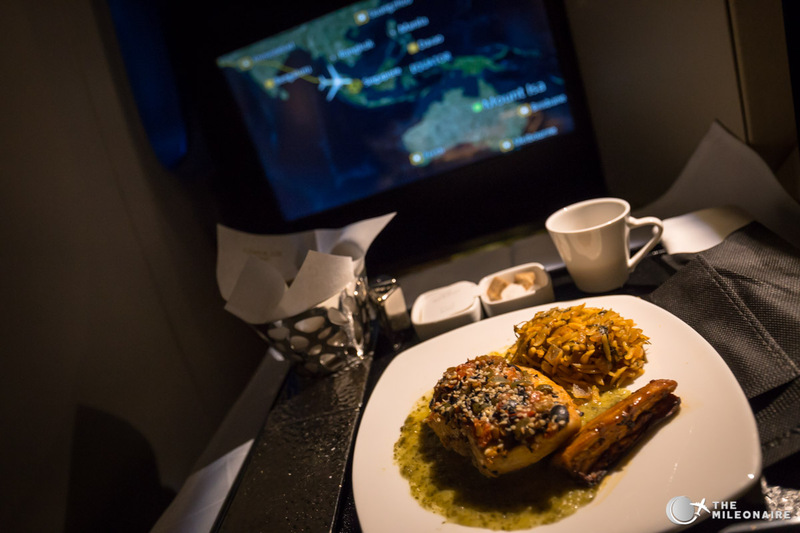 Late, but good dinner on my second flight with Etihad’s 787..
After two great segments in Etihad’s B787 Business Class I landed in Singapore, spotting a rainbow during the descent. 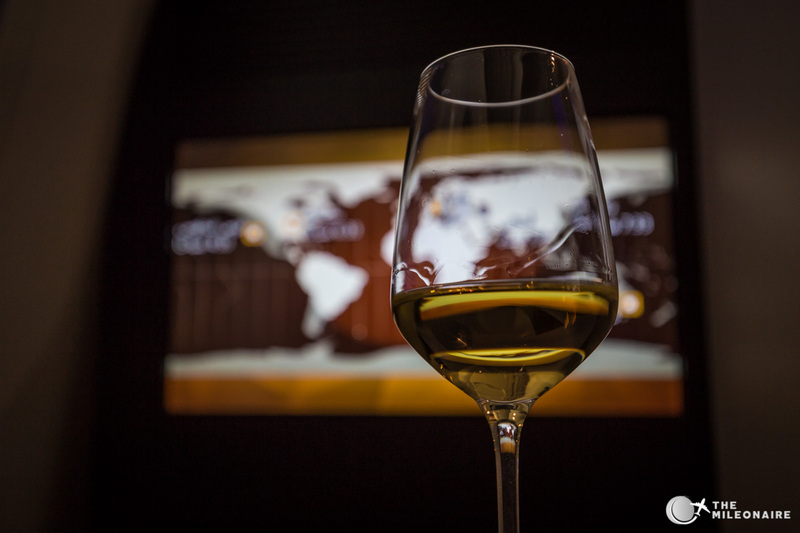 With the new 787 Business Studios, Etihad was able to even improve their already excellent Business Class product. 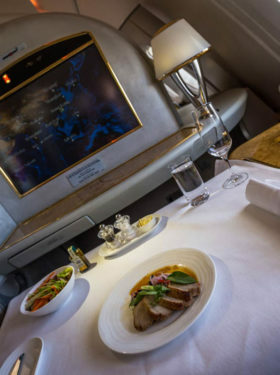 The new hard product offers an incredible level of space and privacy, paired with the (normally) good Etihad service. 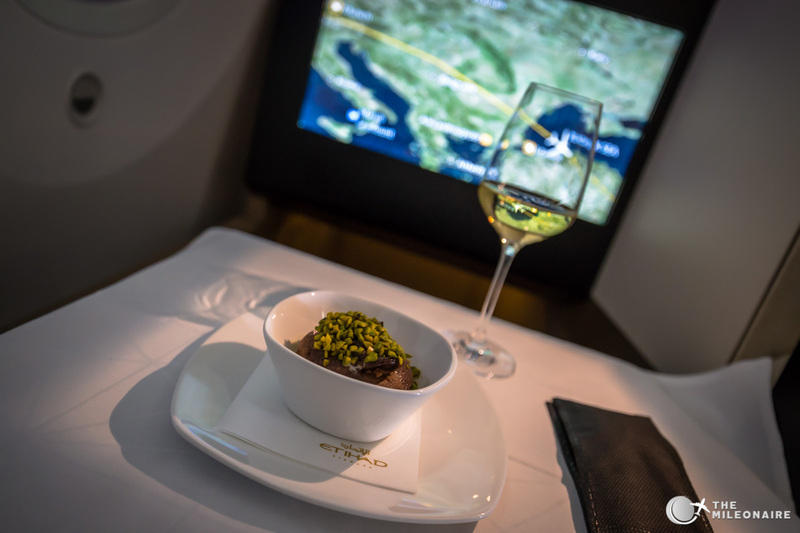 Sadly, Etihad only uses the Dreamliner on very few European routes until now – but if you have the chance, Etihad’s B787 Business Class is an outstanding choice.